Track review of "Wenn du weite Wege gehst"
Pianist Hans Ludemann's past is steeped in modern and outside jazz realms amid his affiliations with trombonist Albert Mangelsdorf, pianist Paul Bley and other forward-looking explorers. But as the liner notes point out, the artist switched gears after a trip to West Africa in 1999 where he met balaphone performer Aly Keita who uses the melodic / percussive mallet instrument on this set. Whereas, special guests include, trumpeter Reiner Winterschladen who injects an additional jazz flavor along with Ballake Sissoko who uses a kora, which is cited as a 21-stringed West African instrument that is also referred to as a double bridge-harp-lute. Moreover, percussionist Christian Thome's multi-functional role yields rewarding qualities throughout these disparate and largely energized motifs. Indeed, the ensemble's symmetrical and seamless cross-genre globetrotting enactments equate to one of the finest productions of this ilk that I've heard in quite some time. There's not a trace of filler material on this album. And while these harmonious themes feature catchy voicings, they're not sugarcoated, especially since many passages are meaty, highly rhythmic and buoyantly executed via an abundance of vivid tonal contrasts, dense soloing frameworks and magnetic interplay. Hence, the final track "Wenn du weite Wege gehst," is a manifold composition as Ludemann kicks matters off with a vigorously phrased classical overture, leading to Keita's organic accompaniment and Winterschladen's muted lines. Here, the pianist and trumpeter punch out complex and sonorous union choruses atop a simmering undertow, including Keita's jazzy solo spot, topped off by an enticing hook. However, the musicians plunge into sprightly and hard-hitting call / response mechanisms, while often mimicking each other during the festivities. In sum, each piece is a standalone wonder as the musicians' expert craftsmanship and interminable synergy transforms into a highly entertaining platform that had me smiling from start-to-finish. 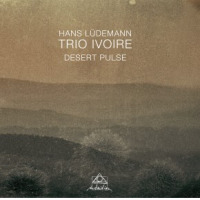 Personnel: Hans Ludemann: piano; Aly Keita: balaphone; Christian Thome: drums. Special guests – Reiner Winterschladen: trumpet; Ballake Sissoko: kora.